Wear the warmth of wood. Custom designed and meticulously handcrafted by David Finch. 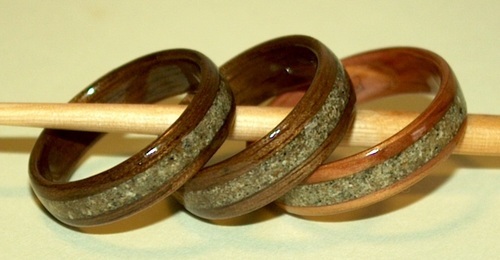 Black Walnut Wood Rings with inlays of Juniper Heartwood. 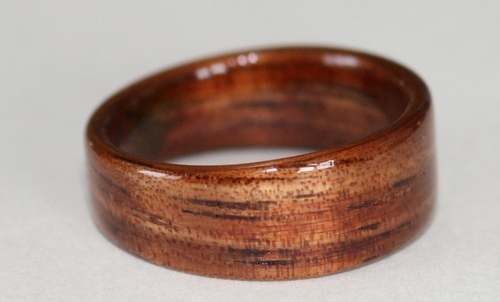 Classic Touch Wood Ring of Hawaiian Koa Wood. 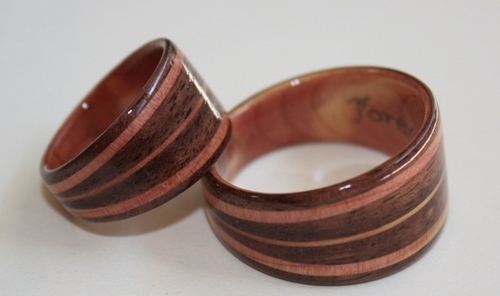 Touch Wood Ringe. Holzringe, individuell gestaltete und von Hand gefertigt. Touch Wood Rings also creates Memorial Rings; Ashes of a beloved inlaid on a meticulously handcrafted wooden ring. We work with you to create a wooden ring of remembrance that you will love and feel good about wearing. The Memorial Rings shown here were made for the wife and two daughters of a beloved dad and husband.